Bad things happen when brake lines leak. Who’s to blame when they do? The National Highway Traffic Safety Administration has wrapped up a 5-year investigation into the cause of rust on the undercarriages of about 5 million GM vehicles. The problem has been the rusting of brake lines on 2007 and older Chevrolet, Cadillac, and GMC pickups and SUVs. Usually an investigation of this magnitude results in an expensive recall and the mandatory repair of affected vehicles. 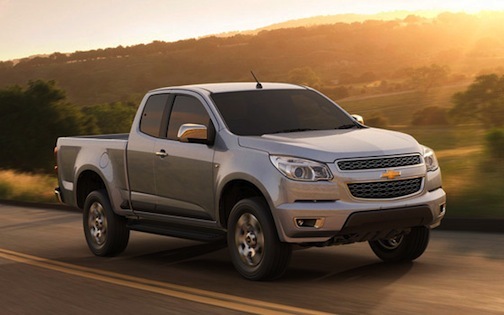 Is There Any Prestige Left in Chevrolet? Name a Chevrolet car, not called Camaro, that buyers would pay $40,000 for the privilege to take home. Impala? Nope. Malibu? Nice, but not more-than-$30K nice. So why is it that competitors like Toyota and even Hyundai can sell cars for over 30 grand, or even up to 40, while Chevy is forced to move its metal through the use of heavy discounts? The answer comes down to one word. You might think that word is “quality,” but you’d be wrong. The 2008–2009 Pontiac G8 GXP remains one of my favorite American cars ever built. Of course, we all know that once General Motors finally hit a home run with the Pontiac brand, it promptly pushed the self-destruct button, and Pontiac exploded into oblivion. Built with some of the best pieces in the GM parts bin, the G8 GXP had the Corvette‘s 6.2-liter, 402-horsepower LS3 V8 under the hood and none of the plastic body cladding glued on to nearly all other Pontiacs in modern history. Not like we need another high-powered V8 vehicle roaring over American roads, but one like the G8 would be most welcome. Enter the 2014 Chevrolet SS. Will Going Eco Really Save You Any Money? Unless you have up to 40 years to wait for your investment to pay off. Keep reading for all the juicy details.